Hubby and I have a few goodies from SOMA kicking around, so we've been slowly making our way through them. 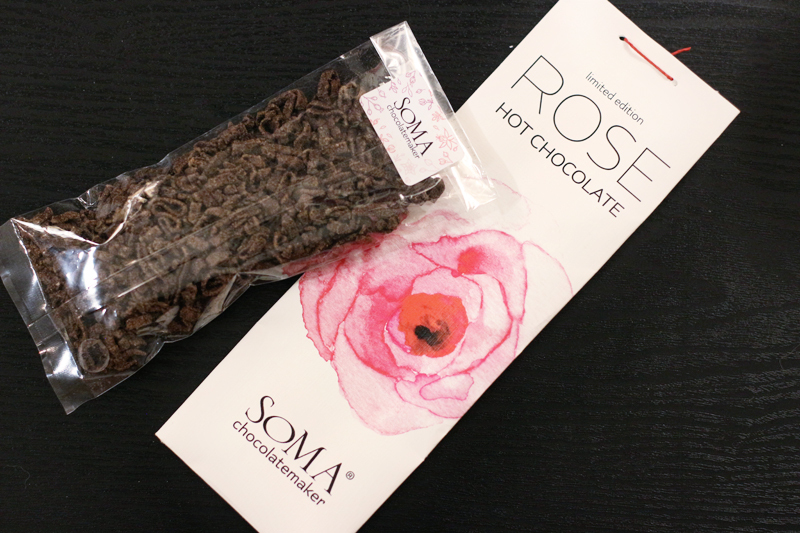 Treats from SOMA are a bit spendy for day-to-day consumption, so I was inspired to try to replicate the flavours. 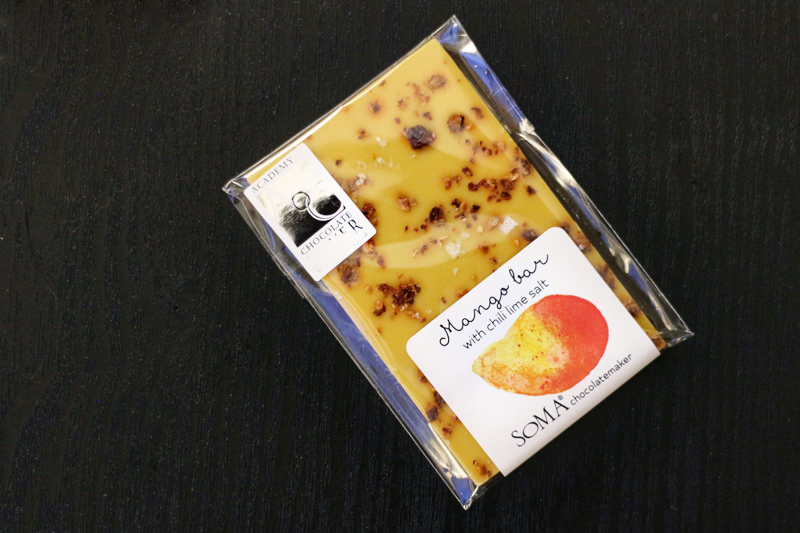 Yesterday, we tasted the mango bar with chili lime salt and WOWSA! While I won't be making chocolate anytime soon, I do have mango lassi on my list of recipes to try, and the SOMA treat reminded me of a delightfully mango-y mango lassi. I also plan to buy some li hing mui powder (which the mango bar reminded me of, for whatever reason)--this powder is super popular in Hawaii, especially sprinkled on top of shave ice, and I need some in my kitchen pronto.